Back at the end of February, Qualcomm revealed that it was working on an entirely new 700 series of SoCs, meant to bring many higher-end features like the Kryo core architecture and Custom DSPs to a more accessible price—and partly to replace the Snapdragon 660, which didn't quite belong in the 600 series. Today Qualcomm has announced the first of the chips for this new series: The Snapdragon 710 mobile platform. 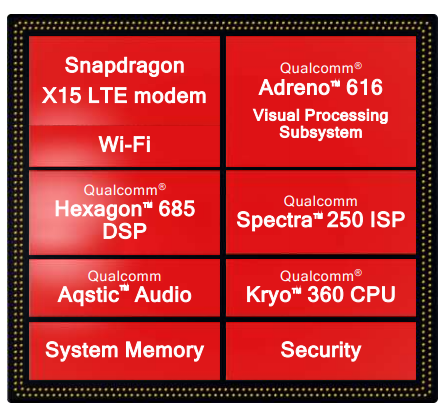 The Snapdragon 710 has Qualcomm's X15 LTE modem, Hexagon 685 DSP, Spectra 250 dual ISP, Aqstic Audio, and custom Kryo 360 CPU cores, all paired with its Adreno 616 graphics. On paper, it compares favorably with the company's high-end offerings like the 845 in the Galaxy S9 and OnePlus 6. We'll have to see what it's like in person, but I'd bet it probably ends up resting somewhere between the 820 and 835. The SoC core configuration is 2+6, with two high-performance 2.2GHz CPUs and six smaller efficiency-focused 1.7GHz cores. Precise architecture for each isn't known yet. 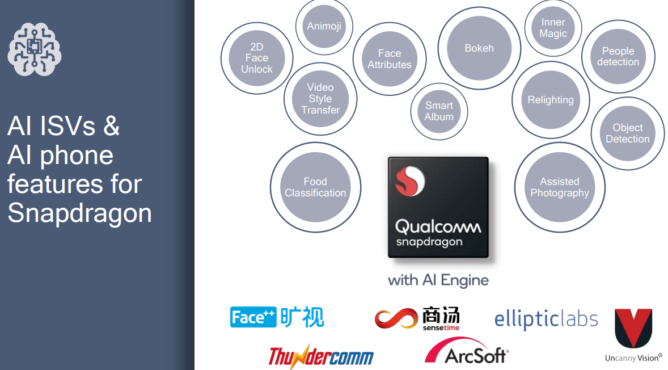 There's also something Qualcomm is calling a multi-core AI Engine, but that's almost certainly just the company's continued name for its Hexagon DSP and the frameworks and APIs that support it. Qualcomm advertises that the 710 will have up to two times the performance in AI-related workflows compared to the Snapdragon 660—which is the spiritual forefather of the new 700 series. With the high-end Hexagon DSP, Adreno graphics, and Kryo custom architecture, it's believable. The 710 also supports Qualcomm's Snapdragon Neural Processing SDK and frameworks like Tensorflow and Caffe/Caffe2. The Spectra 250 dual ISP supports resolutions up to 32MP (20MP for dual-camera configurations). 4K HDR playback is also available on the Snapdragon 710, so we should see this SoC in hardware with decent displays. As always, Qualcomm also claims the 710 will make some major improvements over the previous-gen 660 when it comes to battery life, with 20-40% power savings in video and gaming workloads. Hyperbole aside, with the improved performance and 10nm node, at least some improvements should be present. The new X15 modem sounds like it's supposed to sit just under the X16 from last year's Snapdragon 835, and based on the numbers provided, it fits. The X15 supports up to 800 Mbps down (200 Mbps less than the X16), LAA (License-Assisted Access), 4x4 MIMO for LTE, and 2x2 Wi-Fi. It doesn't beat the latest X20 modem in the Snapdragon 845, but it still provides more speed than most of us should need. The 710 is a big step for Qualcomm, and the company is quick to point it out. This SoC is the first time many of the high-end features like the Adreno 6 series GPUs, 4x4 MIMO, and 10nm node have been used by the company outside the 800 series. Let's just hope the new SoC ends up in some good phones. The new Snapdragon 710 is available to OEMs today and should be in consumer-facing products in this quarter. experiences by bringing select premium-tier features to a broader audience. reduction, fast autofocus, image stabilization, smooth zoom and real-time bokeh effects. places, compared to devices that don’t support 4x4 MIMO. browsing and 15% faster app launch times, compared to the Snapdragon 660.
devices in the second quarter of 2018.
communicates. When we connected the phone to the Internet, the mobile revolution was born. 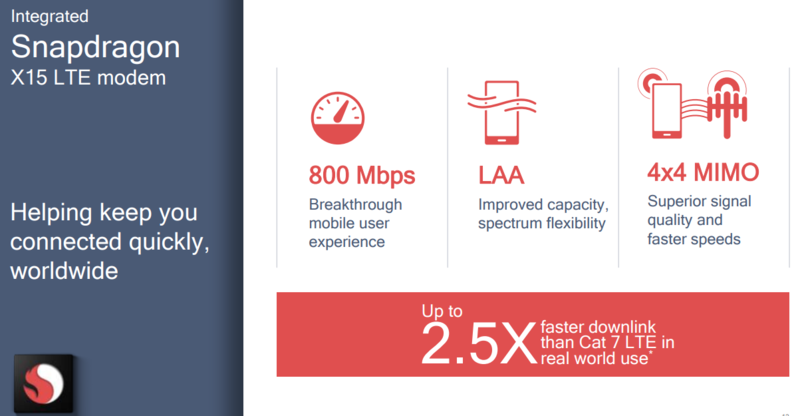 more information, visit Qualcomm’s website, OnQ blog, Twitter and Facebook pages. and Qualcomm Quick Charge are products of Qualcomm Technologies, Inc. and/or its subsidiaries.